Invested by the European, Shanghai Shunky Machinery Co., Ltd. Offered, the full set of mobile crushing station in Congo were tested successfully in Congo. 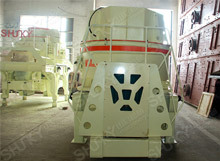 Complete set of mobile crushing station is composed of vibrating feeder, jaw crusher, cone crusher and vibrating screen. It is convenient for customers to transport and change the working site. Upon completion of the assembly, our engineers are invited to the site to adjust and operate the equipment. At present, the whole set of equipment has been debugged and will be put into production.According to the customer's improvement suggestion and suggestion, our engineer will further improve the design of the whole production line in the future, to make the whole system more perfect. The wheel mounted mobile crusher from Shanghai Shunky Machinery Manufacturing Co., Ltd. have been exported to Philippines, Malaysia, Tanzania, Congo, Qatar, Saudi Arabia, Peru and many other countries and regions,customers gave high regard of our products. The company will strive to provide higher quality products to our customers in the future.